As an employee, how do I add PTO to my time card? Click on the "I Need to Change Something" button and then on the "+ PTO." After you login as an employee or manager you can visit your time card to enter in PTO. You can click on the "Add New" button and select the PTO option. Otherwise you can click on "View PTO Summary" and request PTO directly from your calendar. 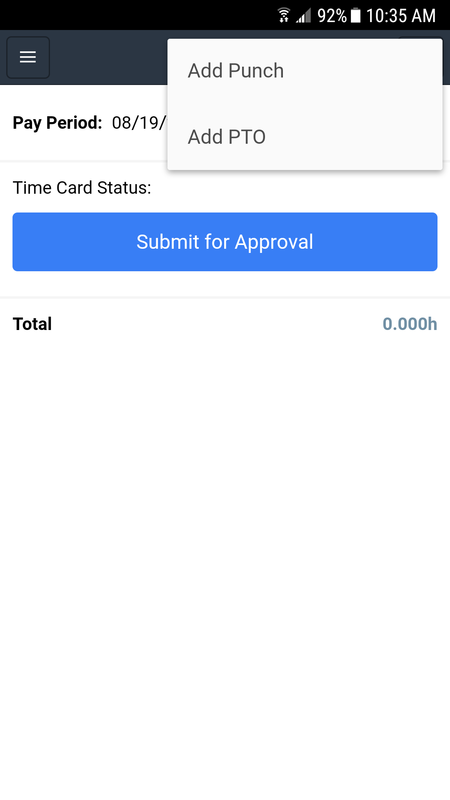 From the mobile app you will also visit your time card. In the upper right hand corner you'll see a "+" button. Click on it to Add PTO.